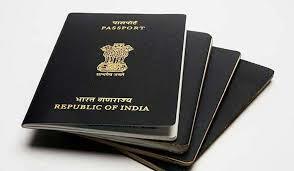 External affairs minister Sushma Swaraj on Tuesday launched a new scheme under which a person can apply for a passport from anywhere in India irrespective of the place of stay. launched in Android and iOS platforms that would have the facilities for applying, paying and scheduling appointments for acquiring a passport. The new scheme has been launched on the occasion of Sixth Passport Seva Divas, a person can now choose the Regional Passport Office (RPO) and the Passport Seva Kendra (PSK) or Post Office Passport Seva Kendra (POPSK) for submitting the application. The application can be submitted irrespective of whether the person's present residential address was within the jurisdiction of the selected RPO or not, a ministry of external affairs (MEA) statement said. The police verification, if required for a specific passport, would be conducted at the address specified in the application form, it said. Noting that at present there were 307 PSKs in the country, she announced that at least one PSK or POPSK would be made available in all the 543 Lok Sabha constituencies.